Tilly is 8 years old now and she said to Kim, her older sister that she knew Father Christmas wasn't real. This made me sad because here was my baby, losing yet more of her childhood innocence, my heart broke a little bit. 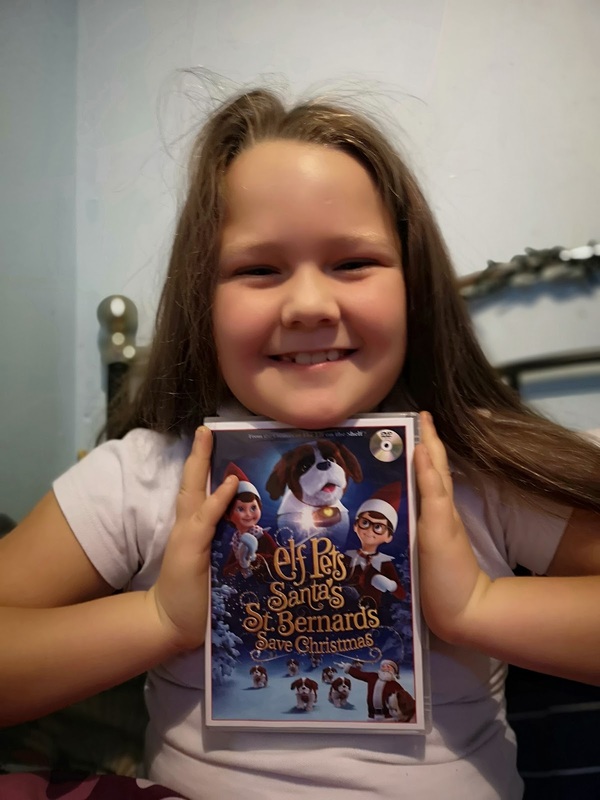 So this DVD called Elf Pets: Santa's St. Bernards Save Christmas arrived just in time for us to restore her belief. She had previously asked for an elf to visit her home, she asked me why we had never had one before and I couldn't say 'its because mummy is lazy and can't be bothered' So I told her that she needed to write and ask for one from Santa. Luckily this DVD backed up my little white lie. 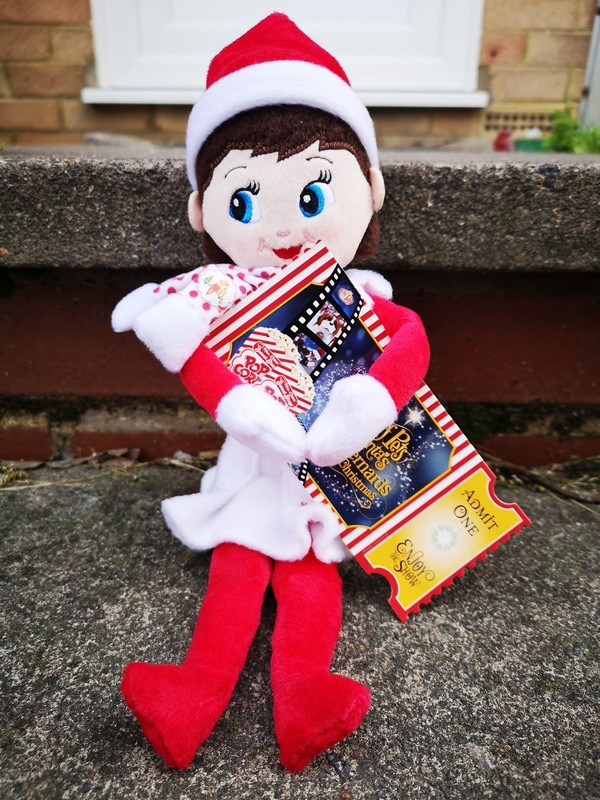 Sometimes we forget about people less fortunate than us and this film has helped Tilly to understand that we need to help others less fortunate than us and that we might do something small to help someone but it means a lot to the person that we are helping. There is a good lesson for us all to learn from this DVD. 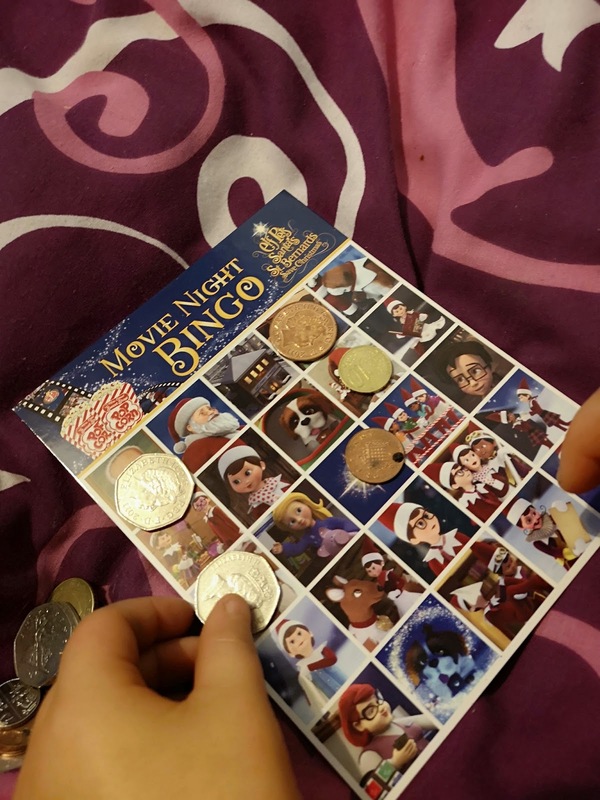 We received a lovely little package with an Elf, a game of bingo, some popcorn boxes and special golden tickets to watch the film. This actually really helped to bring a little bit of Christmas spirit back to our home. Tilly now tells us that she does believe Santa is real and I am so happy to have one last Christmas with her believing. 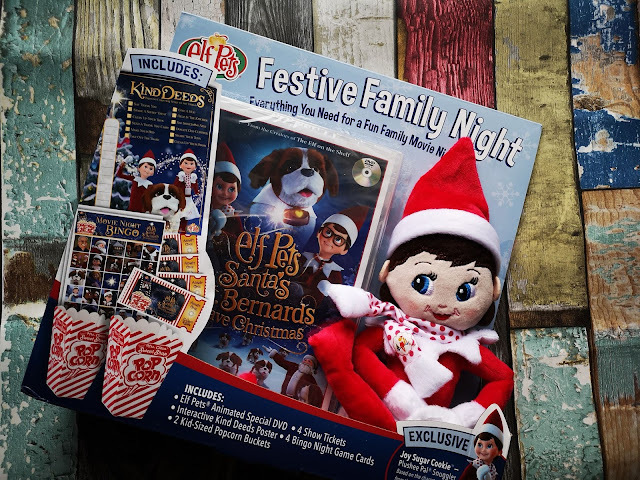 The elf will be coming back in December because Tilly has sent her letter to Santa to ask for one.